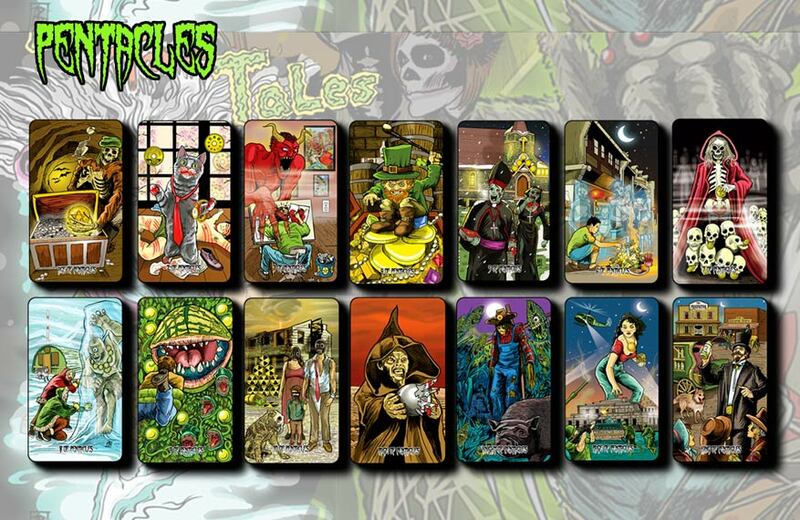 Twisted Tarot Tales was designed to be our first ever build-able deck of cards, meaning you can swap out the cards that don't really speak to you with other Twisted Tarot Tales cards from ongoing expansion packs. 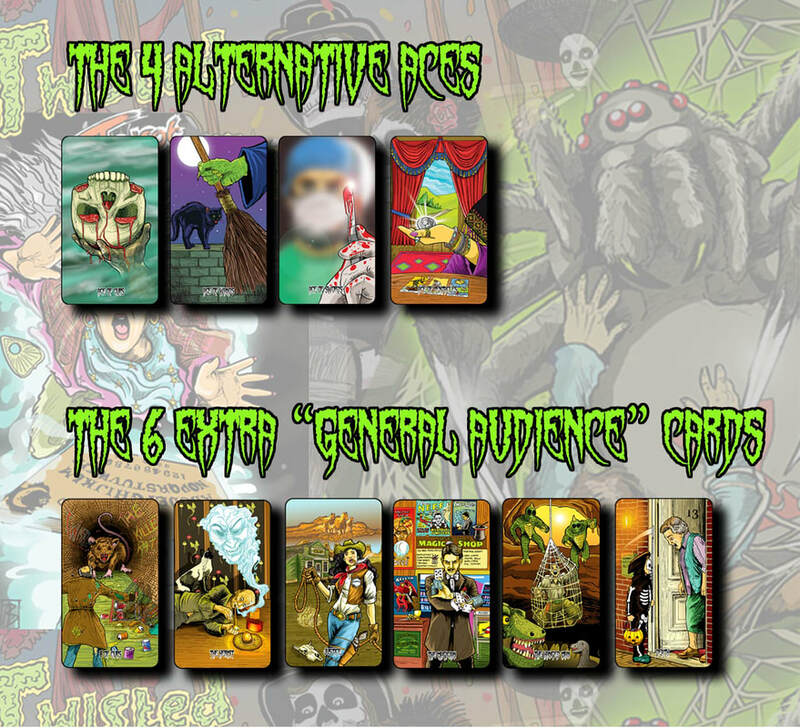 This page is designed to be a guide to all the cards we've ever produced for this huge set of cards. 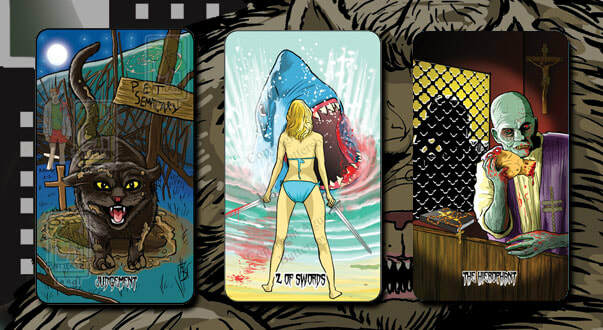 2016 Indiegogo CAMPAIGN Exclusive Stretch Goal cards; Church from Pet Semetary as "Judgement", Shark Attack in the 2 of Swords, and A Zombie Priest as The Hierophant. 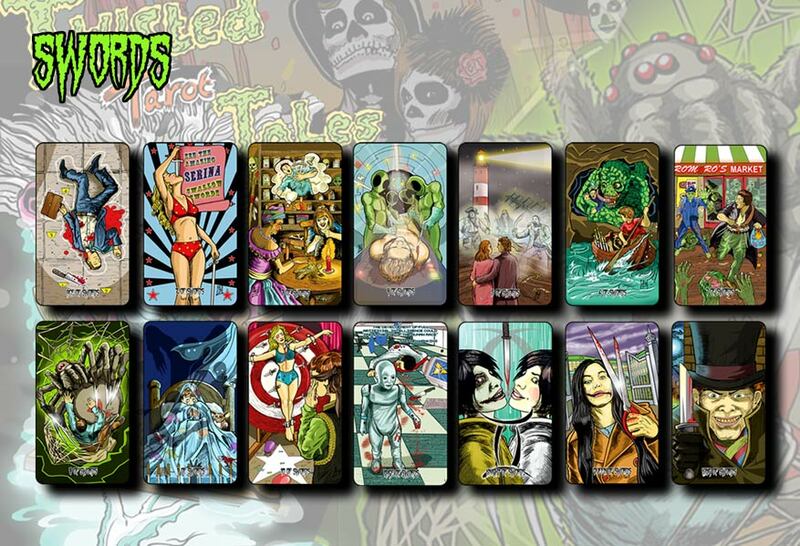 Our first expansion pack for the cards since the original launch of the deck. Released on Halloween 2018, This pack is now retired (in its current form) and featured Some of the Addam's Family, the Munsters and others. 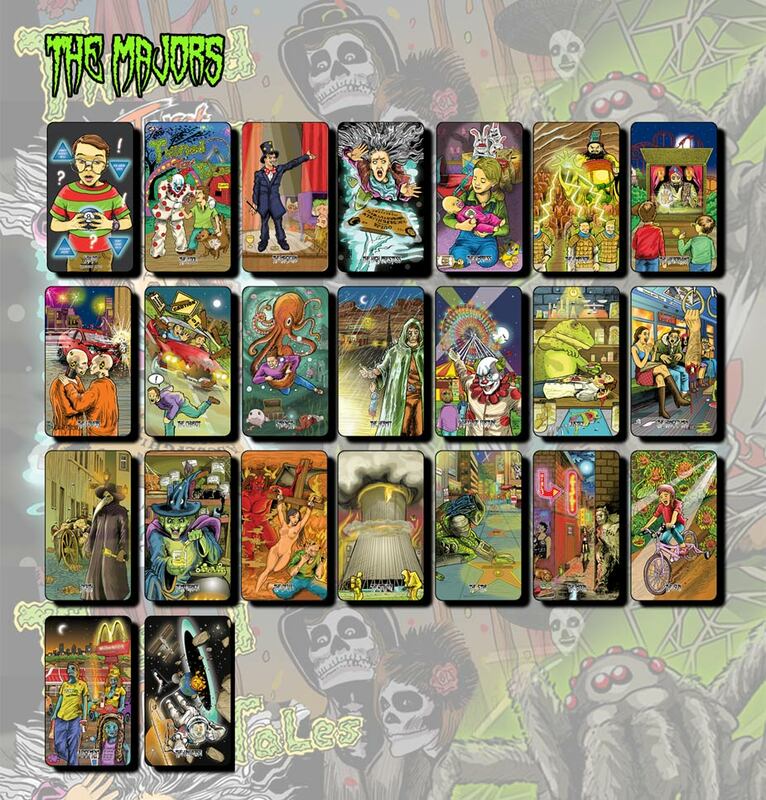 Released for Christmas 2018, this now retired set of cards (in it's current form) featured Gremlins from both Gremlins and Gremlins 2: The New Batch. Ray from Ghostbusters also stars alongside The Stay Puft Marshmallow Man, and the set was complete wtih 2 bonus cards: Christmas Elvira and The Grinch. The first expansion pack of 2019, this set was released on Valentine's Day, with the cards finally being shipped throughout March. 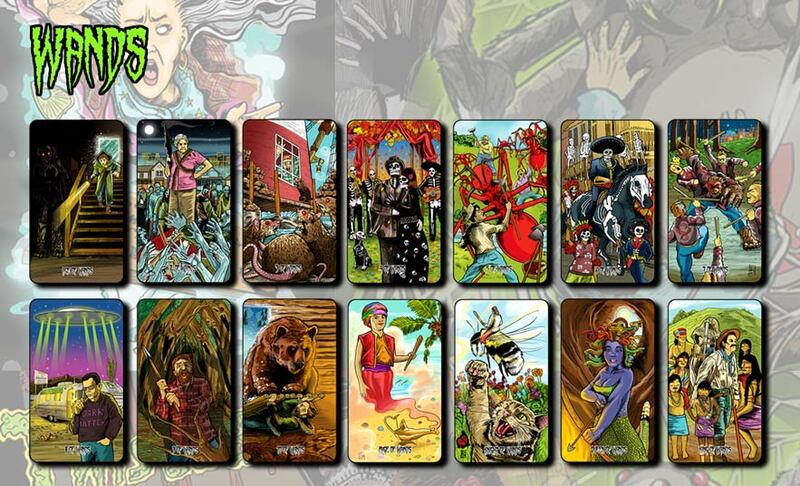 The set depicts many of the Witches throughout popular culture. 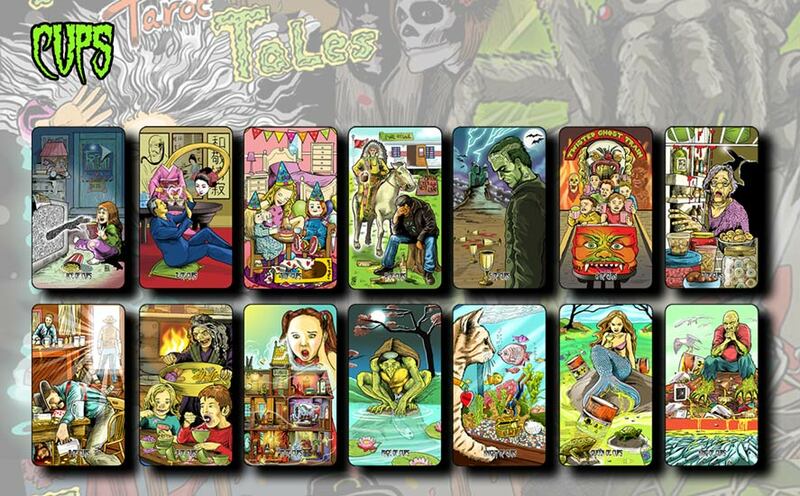 The Two bonus cards, created with Valentine's day in mind, are Pugsly and Wednesday Addams watering their wacky plants in the 6 of Cups, and the Ace of Cups is inspired by the Dracula movie directed by Tim Burton.